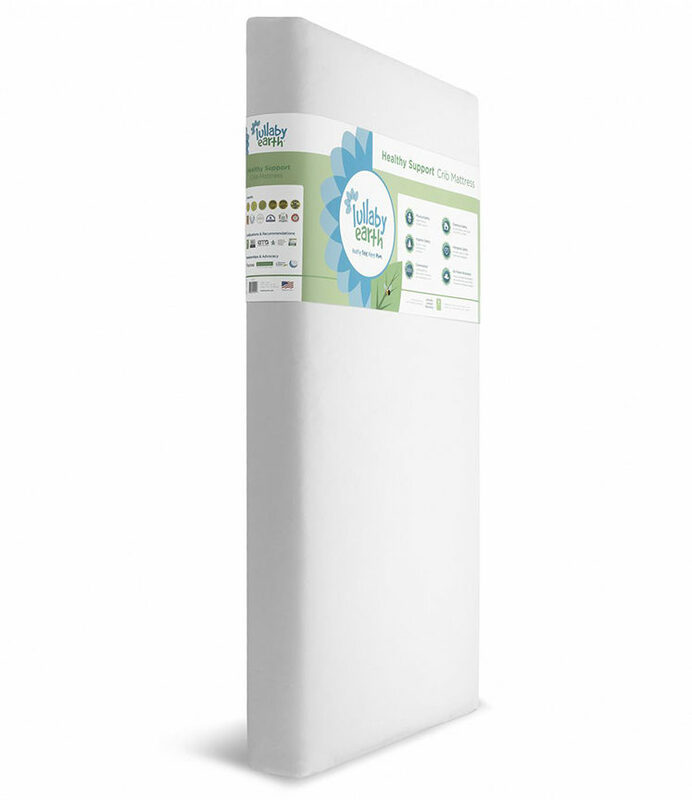 Designed to be easier for parents and safer for baby, the Lullaby Earth Healthy Support Crib Mattress delivers the perfect balance of features. Weighing a mere 7 pounds, it’s a breeze to change the sheets. 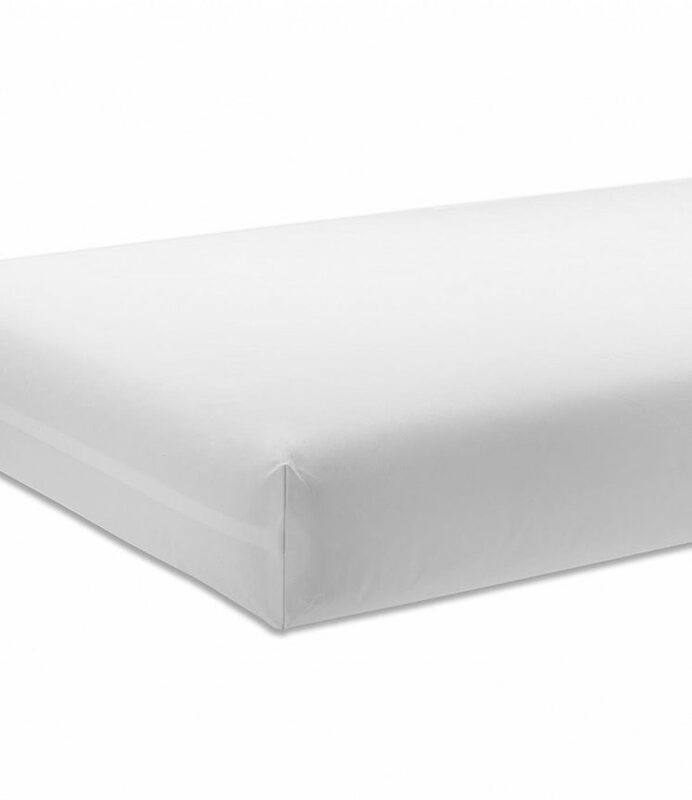 It also features a waterproof design (even on the edges where most crib mattresses have seams), a firm and durable construction, square corners for a snug fit, and of course, no harmful chemicals or allergens. Meets the strictest GREENGUARD® certification standards for eliminating chemical emissions. Measures 27.5″ x 52″ x 6″ and comes with a lifetime limited warranty. Proudly made in the U.S.A.
Changing the sheets on a heavy crib mattress can be a challenge. 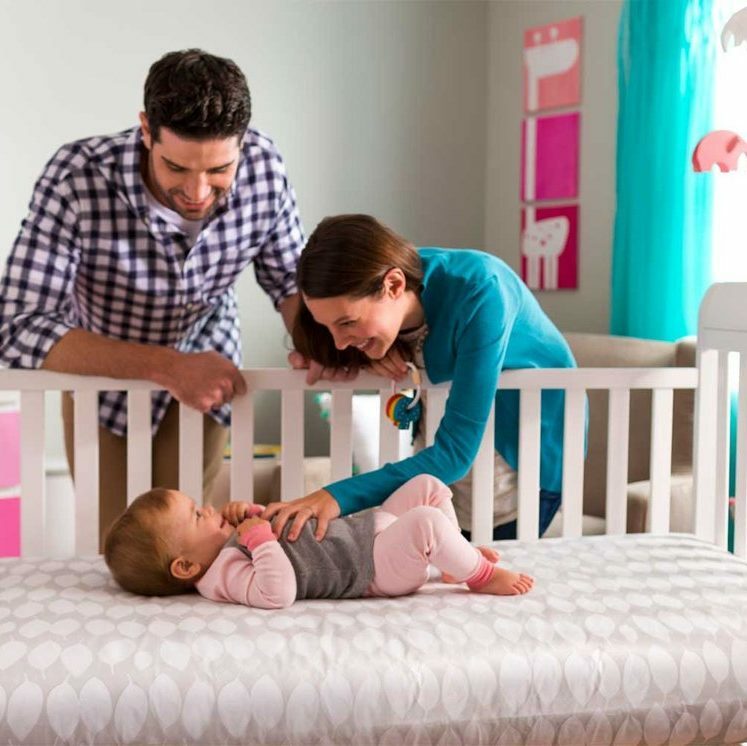 The Healthy Support Crib Mattress makes changing the sheets a breeze! At 7 pounds, you can get the job done easily, so it’s no hassle to give your baby a clean crib. Firmness is one of the most important features in a crib mattress. A soft crib mattress can sag, making it much more difficult for babies to shift positions or roll over if they are uncomfortable or having trouble breathing. In addition to a firm design, strong side and edge support adds structural stability, making the Lullaby Earth mattress an excellent choice for toddler beds.